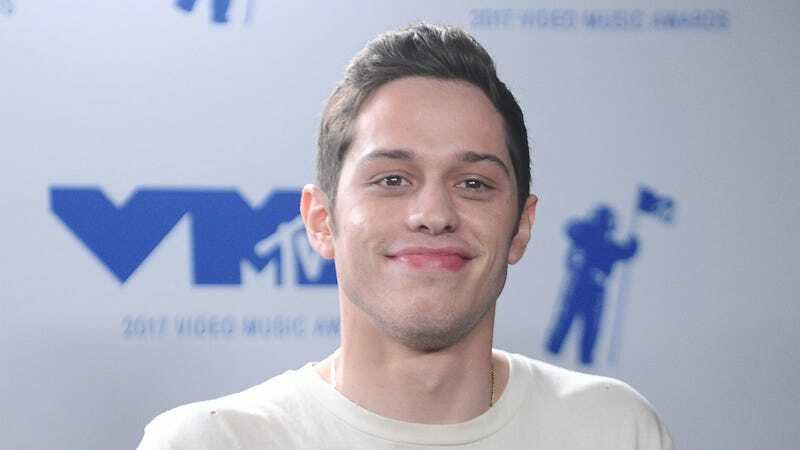 Concern circulated throughout the pop culture world yesterday over the health and well-being of Saturday Night Live star Pete Davidson, who deleted his social media accounts last night after making a post suggesting he was experiencing considerable mental distress. The comedian appeared briefly on last night’s episode of Saturday Night Live, but didn’t participate in any sketches. A large number of people reached out to Davidson online after he posted the unsettling sentiment, and the NYPD was reportedly asked to perform a wellness check on him, finding him working at SNL’s 30 Rockefeller Center. Later that night, he appeared only briefly in the live portions of the show’s Matt Damon-starring 2018 finale, introducing musical guests Mark Ronson and Miley Cyrus. Per Deadline, he did not appear during the show’s traditional curtain call.